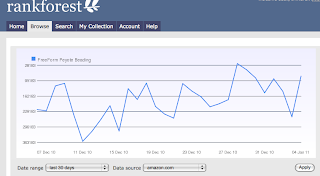 A month after I set up several different free services to track the Amazon rankings for my book FreeForm Peyote Beading,, I have determined several things. 1) There are HUGE differences in granularity between the various free services. NovelRank is still my favorite. 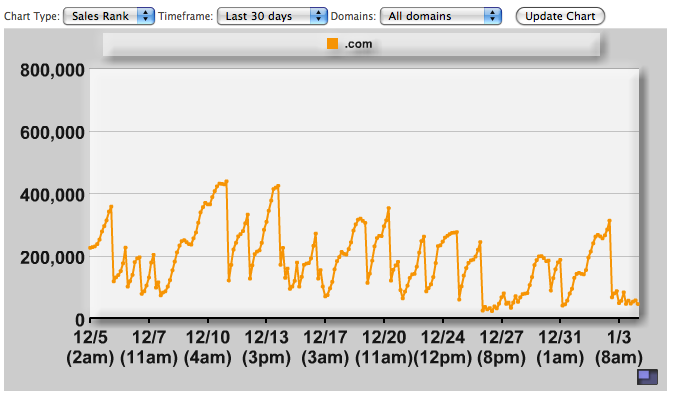 It's the only free service I've found that graphs from Amazon's hourly updates. 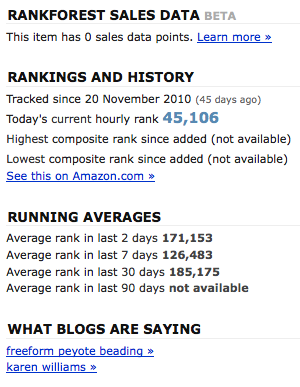 I can't see the graphs on my iPhone (they're rendered in Flash), but I can check out my ranking and sales stats. It's the top example to the left. Next up is TitleZ. They pull what sounds like the entire Booksellers Ranking from Amazon once per night. Their service seems designed primarily for tracking industry trends. 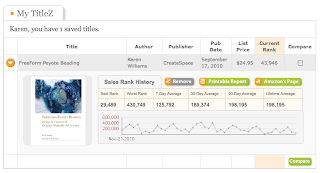 Perhaps it would be of more use if I were trying to compare several books' sales,such as competitors. (I may try that next). I'd actually forgotten I'd signed up for RankForest until they sent me an email reminder that 30 days' worth of data were ready for viewing. Score one for them. They have several different account levels from free which updates every 8 hours (my account). All of the paid accounts update hourly starting at $2.99/month to track one book. More books tracked equals more $. 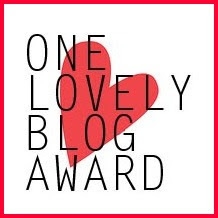 The most interesting thing they offer is a 'clipping service' - What Blogs Are Saying, which includes links to blogs using search terms related to the book. 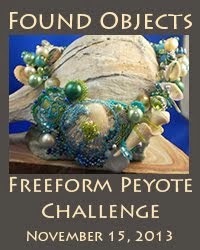 In my case, they listed "freeform peyote beading" and "Karen Williams". 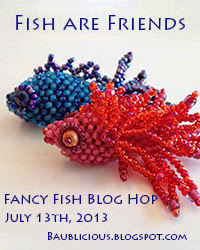 I was happy to note my blog came up under both entries, as did some others I want to check out more closely. 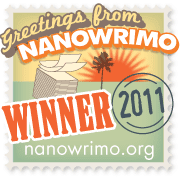 And most recently, I've signed up for Author Central with Amazon. 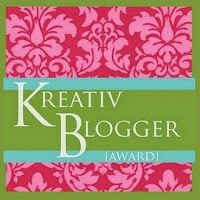 It's nice in that I can upload a picture (need to find a better one) and biography. But, according to Amazon "authors can see weekly sales trends of their print books as reported by Nielsen BookScan" This is supposed to give me some lovely information about where in the country my book is actually selling (wouldn't that be nice to know!?) - unfortunately, it thinks I've sold no books, so it's useless. 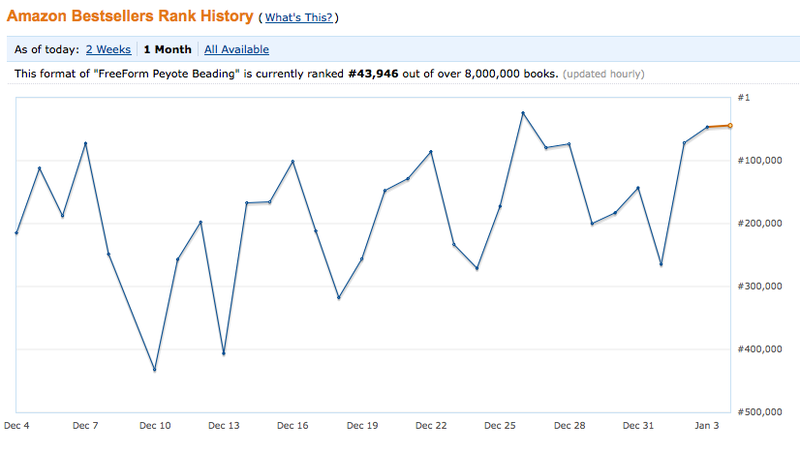 2) Amazon book rankings are incredibly volatile if you're not in the top 10-20,000. 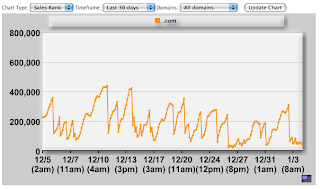 A quick look at the NovelRank graph back at the top of this post and you can see what I mean. It reminds me of an EKG from some medical drama: all spikes. 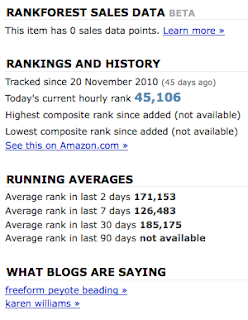 Looking at the graphs, my worst ranking since I began tracking was 437,354. 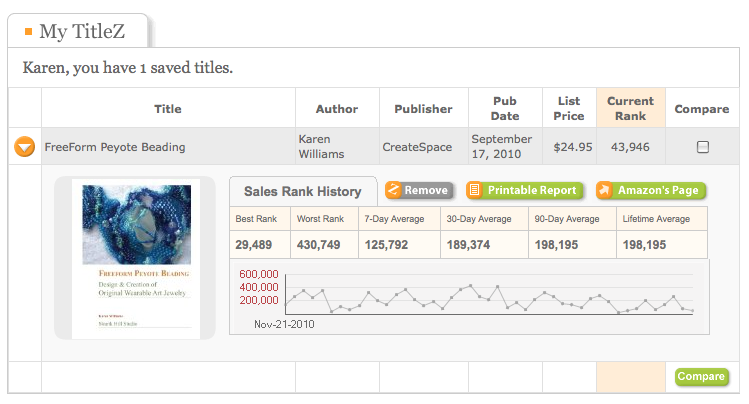 A single sale and my ranking was suddenly 136,784. Wow, what a difference a sale made! However, that only works so far. The lower (better) one's current ranking, the less difference a single sale makes. The higher the general sales volume, the more this is true. Take yesterday as an example. It was an absolute record day for me, with seven books sold in 24 hours. (Yippee!) 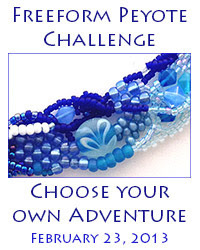 However, my best ranking the entire day was #38,200 (which at that point translated into #20 in the category Beadwork). In late November, when sales seemed to be slower generally, the sale of three books in 24 hours garnered an overall rating of #34,059 in books (and #34 in Beadwork). Sales Fluctuations and Rankings. I had absolutely no sales December 23-26, but apparently wasn't alone, as my book's rankings worsened very slowly during that time frame. Then the last five days of December more than made up for that dip; December 27-31st accounted for fully a third of my entire December sales. 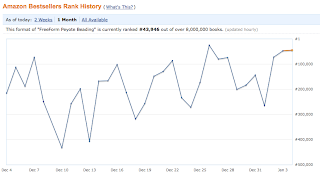 Judging by the volatility of the rankings, I'd say other books were selling briskly too. Overall Rankings vs. Category Rankings. Until the past couple of days, I could pretty reliably divide my overall ranking by 1000 and come up with its ranking in Beadwork. But the past couple of days, it would seem books in the Beadwork category aren't selling as fast as some others, as my category ranking is much better than my overall ranking would lead me to expect. 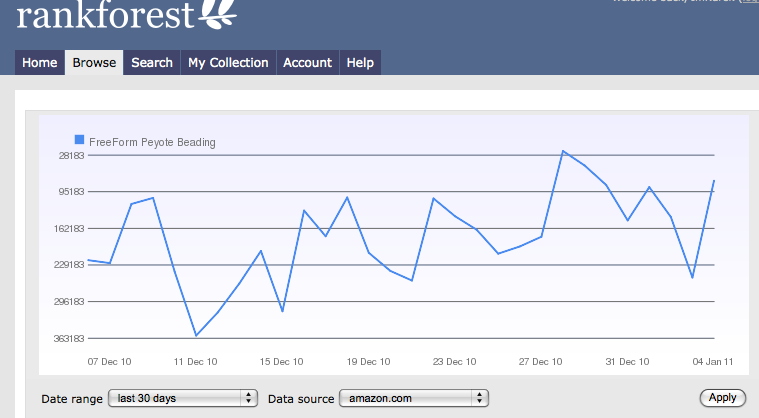 3) Amazon's 'in-house' tracking offered through Author Central sounds great, but is absolutely abysmal. I've already noted this above, but thought it worth repeating. I would love to have access to some very basic geographic information - where in the country or the world do the people who purchase my book live? I'd love to know if my book were particularly popular in Texas, or Massachusetts, or Great Britain, for instance. No such luck! I think because my book is print on demand, rather than from a major publisher. But if you've managed to pry this information from Amazon, I'd love to hear how you did it! How does this all help? I'm not sure yet, but it's fascinating. I'm so glad you found NovelRank to be the top of the pops, so-to-speak! I suppose the next addition I should add is a Blog Search that looks through google's blog search and pulls down some results, so you can fall in love with NovelRank all over again. I'll keep that in mind for future updates.